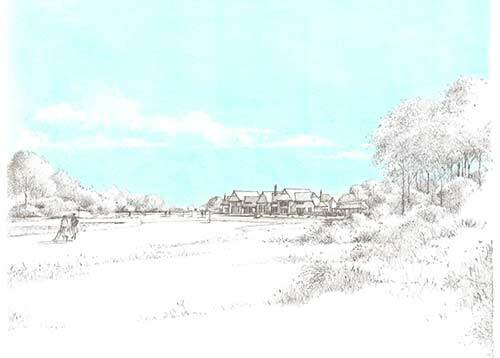 BHB Architects were chosen for the extension to the golf course at Whittington Heath Golf Club to work with Gaunt Golf Design. 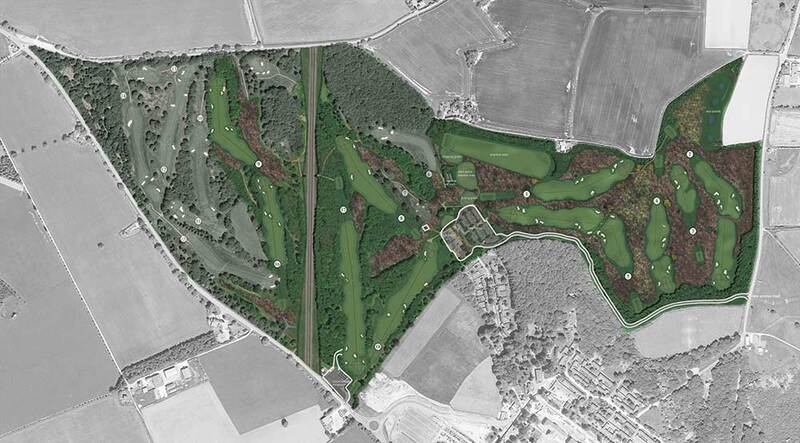 The proposed HS2 high-speed rail route bisects the course and results in the demolition of the existing historic clubhouse. 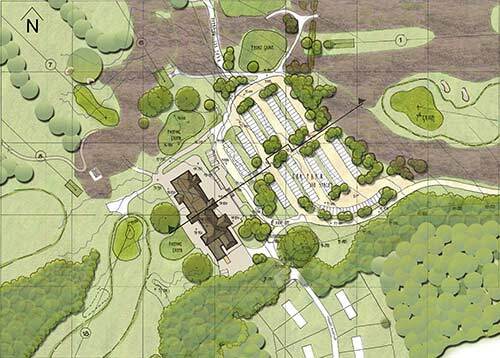 Five new fairways and holes, a clubhouse, a greenkeepers’ compound and a halfway house have all been designed to preserve the future of the 130 year old member-owned club, located near Lichfield. 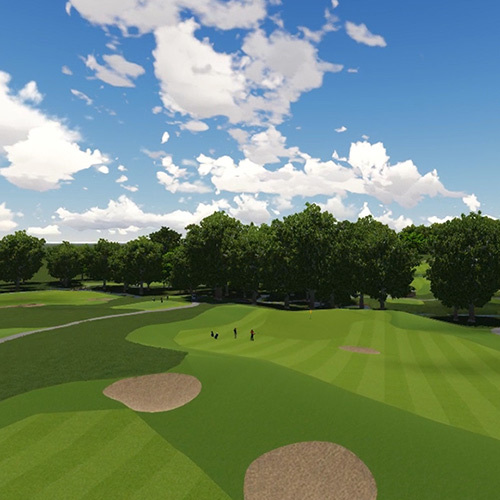 The classic heathland course was once the venue for prestigious horse racing events linked to the neighbouring Whittington Barracks and is one of the oldest clubs in the country. 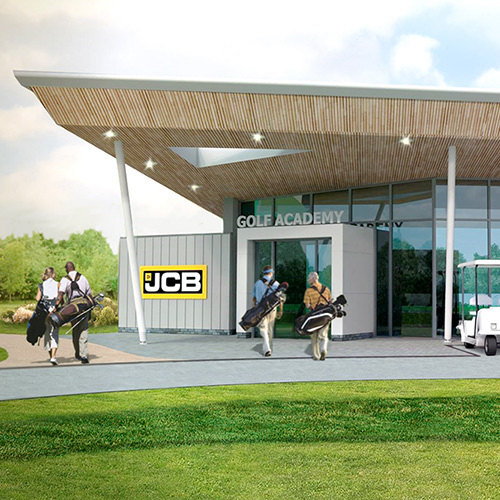 The clubhouse has been designed to achieve BREEAM Excellent rating and will provide a modern equivalent facility. The scheme was granted planning approval in May 2017. Careful environmental and social consideration has been given to this sensitive site and the Arts and Craft styling will sit comfortably within the landscape, linking the historic old course to the new. Located next to the Military Barracks the new clubhouse logically extends the built form rather being exposed within the greenbelt. 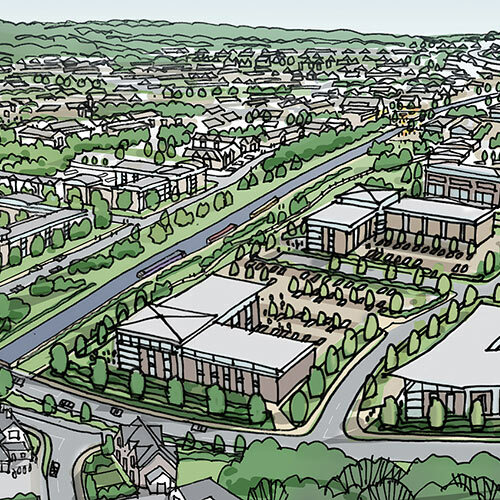 BHB Architects role encompasses the design of the new buildings, the associates car parks and yards along with the access road and entrance gates. Working in conjunction with developing the architectural design, BHB have also undertaken the interior design of the new clubhouse. This involves the selection of internal finishes and the design and specification for the club’s two new bars. The new ‘Lounge’ and new ‘Spike’ bars share the same colour palette but are detailed to ensure they possess their own identities. 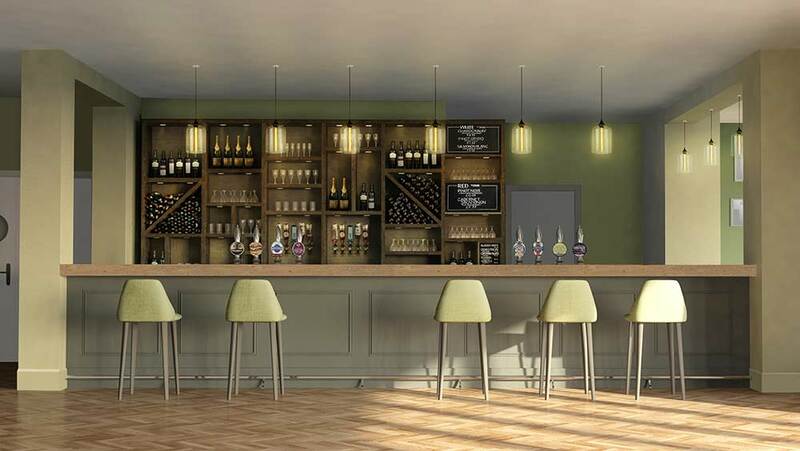 BHB have designed a traditional bar with modern touches to reflect the extensive history of the golf club. The Lounge bar has a formal design, with fine joinery detail to the bar front, being at the centre of the new clubhouse’s open lounge and dining area. 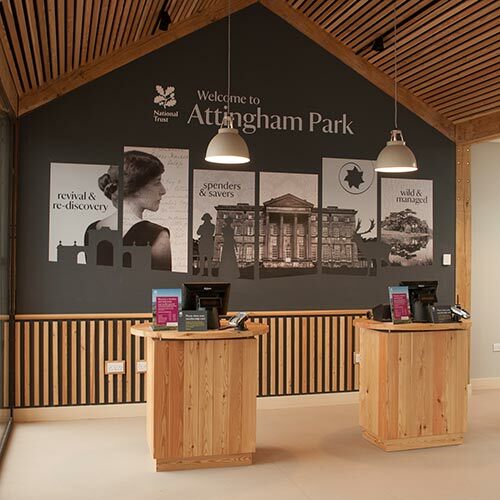 This area will be used by both members and visitors to the club and needs to create a strong first impression. The Spike bar is a more relaxed area with a rustic wooden slatted front. The Spike bar will reflect the golfing history of the clubhouse with framed photographs and members boards adorning the walls.